Mom Mondays: Season 2014-15? That's a wrap! As of last weekend, my 2014-15 hockey mom season was over—until September anyway! In my Mom Mondays post last week, I wrote about all the things I look forward to at the end of the hockey season. However, there are actually some things that I will miss about hockey season so I thought I would share with readers this week. 3. 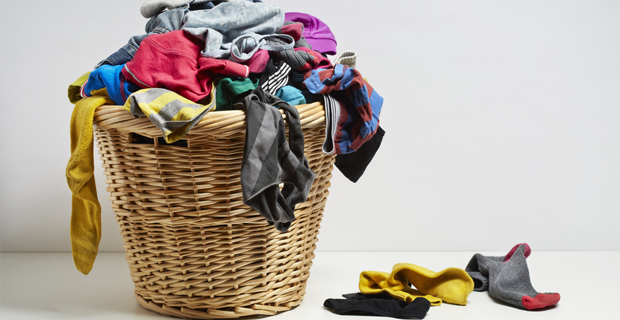 For eight months of the year I have a steady excuse for a messy house and overflowing laundry basket. Now what? (Seriously, now what? Who’s going to clean this mess up?) People will now just think I am a slob. 4. I know I am constantly nagging the girls to get dressed because the coaches will soon want to come into the dressing room but I will seriously miss the girls’ incessant chatter and pop music in the change room. Little do they know that I shamelessly eavesdrop while filling their water bottles. 5. Road trips! Who doesn’t love a good road trip? The hockey season is rife with them. I realize that the hockey season does not coincide with the best weather conditions for endless driving but there is something exciting about a hockey road trip that is entirely unlike planned family vacations and excursions. My kids know it. I know it. They can’t wait to hear me sing Willie Nelson’s “On the Road Again” as we back out of the driveway. And it’s another excuse for pizza. As my daughter’s hockey team lost in the quarterfinals at the Brampton Canadettes tournament, I watched her team gather to congratulate her goalie one last time, and then skate to the centre ice and shake hands with the opposing team and their bench staff. I love this hockey tradition that always signals the end of a hockey game. This time, it also marked the end of the season. I guess I needn’t grieve too much. While the minor hockey season is now over, the NHL playoffs have yet to begin. Even as a spectator, the NHL playoffs offer plenty of opportunity for pizza nights, playoff parties, a messy house, endless armchair debate, and if we’re lucky—a road trip or two!